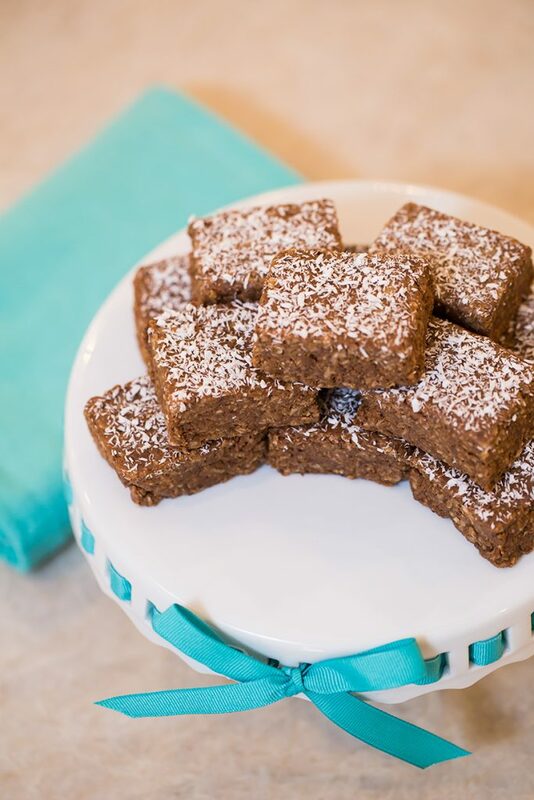 Brookie's Bars - Better than a brownie or a cookie! Better than brownies and cookies! In sauce pan, bring honey to a boil then immediately remove from heat and add Almond Butter and Vanilla. Pour Almond Butter mixture into bowl of dry ingredients and stir till combined. You may need to use your hands. Press down into ungreased 9 x 13 in. glass dish. Optional: Sprinkle shredded coconut on top if desired. Add ½ cup Chocolate Chips ON TOP of mix after it is pressed into pan. Turn oven on Broil. Place bars into oven for 1 minute. Remove and use a knife to spread melted chocolate chips around on top of bars. Refrigerate.